Instead of covering up the disgrace of the post-election brutality or at least keeping quiet after the OSCE declared vote count “bad and very bad,” reelected Alyaksandr Lukashenka rushed to arrest opposition leaders and presidential candidates. While Lukashenka could have done better by rigging elections with a smile rather than a scowl, the embarrassment is not his: he is simply being consistent and true to himself. It is Brussels and Washington who have cherished hopes for a different ending and are now facing a fiasco. The attempt to civilize the Belarusian dictator has failed. In the light of the past events it seems naïve to hope Lukashenka could change after 16 successful years in power. Loosening the reins after all he had done as president would equivalent to suicide. The remarkable turnout at the post-election protest is likely to make Lukashenka even more cautious and unrelenting as now he has seen for himself that the people could stand up and make their voices heard no matter how much it costs them. It will cost them even more next time unless the West steps in. Without independent media, Belarusians follow the headlines from the Official news agencies like Belta, which read: “Fair competition for votes in Belarus”, “Lukashenko ready to hear out some ex-candidate proposals,” “Belarus election follows EU, USA instructions,” “OSCE observers: Belarus made some specific improvements,” “Expert: Unsanctioned rally in Minsk reminds of Dark Ages.” While these headlines are too shameless and hypocritical to sound credible, they undoubtedly contribute to the sense of despair and powerlessness felt by many, and the West’s recent cozying up to Lukashenka has certainly contributed to that feeling. Lukashenka’s behavior suggests that Washington and Brussels are unlikely to succeed at changing the president. Changing his people – who have already dared to stage the largest act of protest since 1996 – may be a more fruitful task, however. 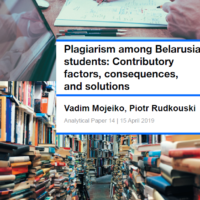 The US and the EU support could make a real difference in reshaping the domestic balance of power in Belarus, were it geared toward strengthening the civil society and media in the country rather than rewarding Lukashenka for cosmetic improvements. While this approach will take longer than engaging with the regime directly, its effect will be deeper and truer. By empowering the Belarusian people and thus helping them internalize democratic norms and the concept of human rights, the West would raise the stakes for falsifying the next election and ensure that whoever comes after Lukashenka would not lapse back into authoritarianism. Between thirty and fifty thousand people gathered in the center of Minsk on Sunday to protest against the officially announced results of presidential elections. Despite the freezing cold, people gathered in the center of Minsk and marched towards the headquarters of the Central Elections Committee demanding fair elections. Tens of thousands of people were chanting “Go away!” to the incumbent president Alyaksandr Lukashenka who is running for the fourth turn. After the protesters gathered at the Central Elections Committee on the Independence Square they started negotiations with the police. Then, as eye witnesses report, a group of people who looked like undercover security agents suddenly stormed a government building and smashed its glass doors. Vital Rymasheuski and other presidential candidates announced that those people had no affiliation with the protesters and were most likely sent by the authorities to create appearance of violent protests and thus justify using force against demonstrators. Because of the cold temperature many people began to leave the main square. Their plan was to come back on the next day. Mr Rymasheuski was promised by the police that if the organizers remove the loudspeakers they would not use violence against the crowd. The organizers removed the loudspeakers but the police shortly thereafter started to beat and arrest the remaining people. Thousands of riot police personnel were deployed to suppress the protesters. According to multiple sources, police was using excessive violence, many protesters and journalists were heavily beaten and blood was seen on the protestors’ faces and on the snow. There were no clashes because the protestors did not even try to restist the overwhelming police force. Earlier this Sunday, Vladimir Neklyaev, the most charismatic presidential candidate, had been attacked and knocked unconscious by a group of men apparently affiliated with the Belarus authorities. Vital Rymasheuski and Andrei Sannikau had also been severely beaten by the riot police. Most opposition presidential candidates are now under arrest. Hundreds of other protestors are also detained. Although the protests are not yet over, the turnout of more than 50 thousand people despite years of intimidation and cold weather is truly remarkable. Belarus has not seen anything close to these figures since 1996. Apparently, the authorities were seriously concerned that the protest will turn into a true revolution. This is why they decided to use provocations and excessive force to ensure that the results they announced are not going to be questioned. Although announcement of a very high percentage for the current president and serious election irregularities were expected, the police brutality had not been expected by most Belarus analysts. Most experts predicted that authorities would just wait until the protesters disappear because of very cold weather conditions. An appearance of more democratic elections could have won more friends for the Belarus regime in the West. This is unlikely to happen now. It is already clear that the Belarus authorities will face the consequences of their brutality. Although the leverages against the Belarus regime are limited, more economic and political sanctions may follow. However, it is not clear whether the international community is going to increase support of media directed to Belarus and other civil society groups in the country. 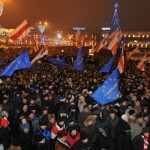 The high turnout of protesters suggests that changes in Belarus will come sooner rather than later.